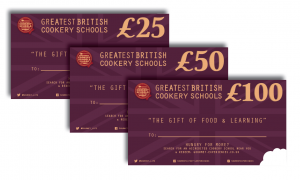 UK accredited gift vouchers accepted by over 25 ‘ICSA’ (Independent Cookery School Association) accredited cookery schools UK wide. The gift of learning, to inspire and share new skills and to help improve awareness of Great British produce. BUY HERE. Includes a participating ICSA members link. 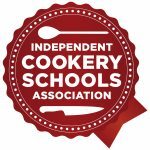 *The GREAT BRITISH GourmetXperience printed guide profiles all participating ICSA members. Includes industry features, comment and insights, including contributions from TV and Michelin accredited chefs. Foreword and introductions by Michael Caines MBE, Raymond Blanc OBE.